We’ve officially entered the doldrums of winter, one-third of the way through. And, simply judging by the number of times we’ve heard the term “polar vortex,” this particular winter appears to be a doozy. So we thought it the perfect time to make this week’s “Seen on Pinterest” post about something a bit more inspirational. This dreary period between MLK Day and Memorial Day often seems to stretch on endlessly, so we decided to bring a post dedicated solely to embracing your wanderlust. 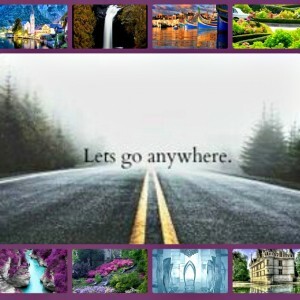 From Minnesota to Malta, Germany to the great winding Lombard Street in San Francisco, the sunny Florida Keys to the famed Blue Lagoon in Iceland, may these varied destinations inspire you to plan a mid-winter getaway or simply escape the chilly temperatures for an afternoon. 1. Dragon Castle, Schloss Drachenburg, Germany, a fairy tale German castle today open for more than 120,000 visitors each year to enjoy. 2. Hallstatt, Austria, one of the country’s oldest and most photographed villages. 3. Cascade River Falls in Minnesota is a scenic park about 100 miles from Duluth. 4. Boat reflections over the Malta harbor. 5. San Francisco’s famous winding Lombard Street. 6. Iceland’s famous natural thermal geo spa, the Blue Lagoon. 8. Noc Kupaly, the St. John’s festival of lights, in Thailand, where locals release lanterns to the sky to celebrate the summer solstice. 9. The luxurious Four Seasons Resort Bora Bora. 10. Italy’s picturesque Lake Como. 11. Butchart Gardens, one of Victoria, Canada’s most famous attractions. 12. Château d’Azay-le-Rideau, in France’s Loire Valley, built in the 12th century. 13. The chapel in a hotel composed entirely of ice. The Ice Hotel in Sweden is one of the most famous. 14. Winterthur Museum in Delaware will soon have a great lineup of Downton Abbey costumes as well as spectacular gardens. 15. Isle of Skye’s Fairy Pools in Scotland are a must see. 16. Scenic Lake Canmore in Alberta, Canada. 18. Tobacco Bay Beach in Bermuda is a favorite destination for snorkeling. 19. The warm weather in the Florida Keys makes us long for a mid-winter escape. 20. Lightning strikes the Burj al Arab in Dubai.